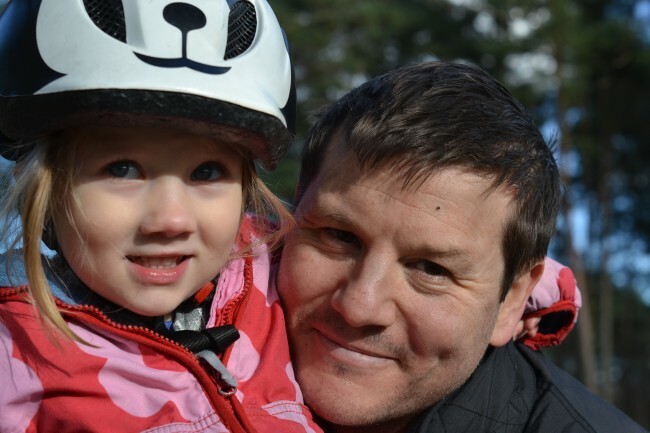 I’m not very good at staying in the house, so we try to get everyone out and about in all weathers. 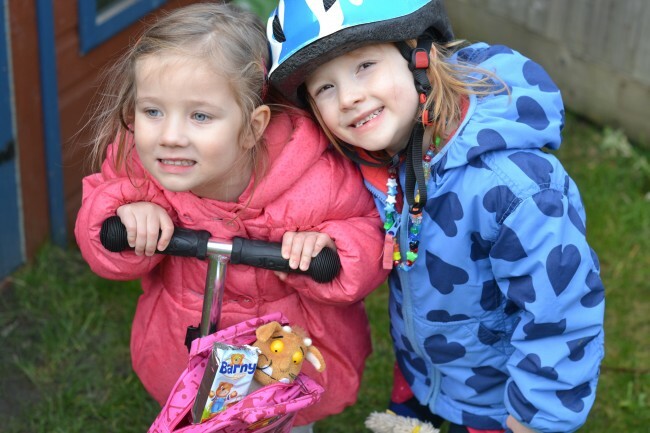 Britmums and Barny kindly sent us some samples of the new strawberry and apple favour cakes as well as a lovely gardening kit which helped inspire us to get in the garden and finally tidy it up after winter. 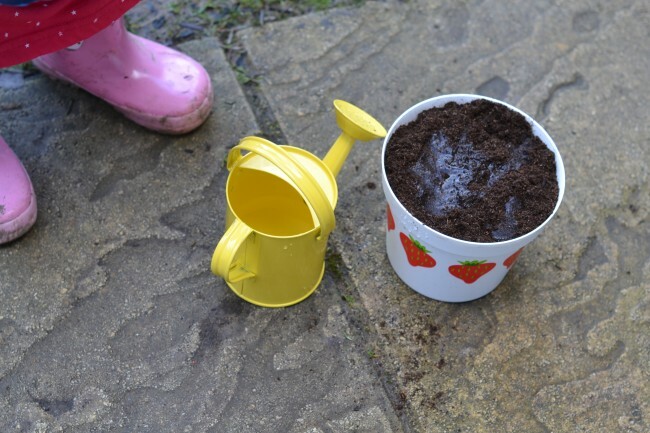 Little H was VERY excited to plant her strawberry plant and has watered it every day since. We now have lots of lovely green shoots poking up, so hopefully will have a summer full of strawberries. We took Barny with us on one of our weekend adventures. H packed a Barny carefully in her scooter bag with the Gruffalo’s child and we set off into the woods. 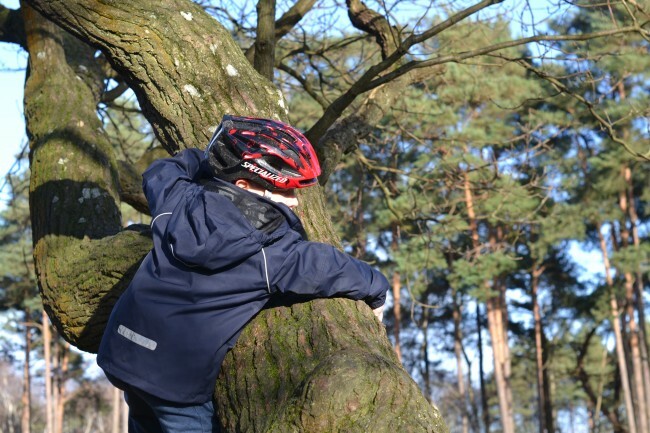 We climbed trees, jumped in puddles, played pooh sticks and generally had a great time all together. We think Barny had a good time, and we love Barny snacks. 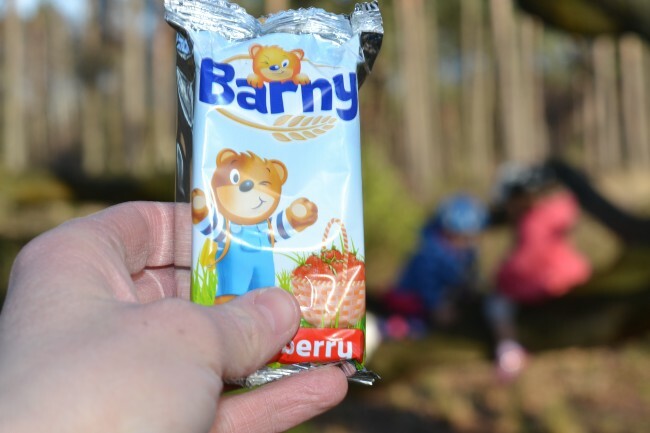 Barny is a super yummy bear shaped sponge snack each individually wrapped making them perfect for lunch boxes, day trips or even just around the house. Z and S LOVE having a Barny in their school lunch. When we got home we warmed up with hot chocolate and marshmallows. 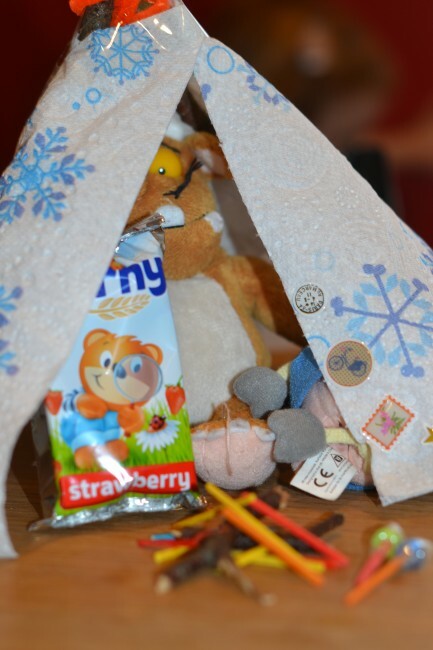 H even made Barny Bear an indoor tent complete with campfire and marshmallows on sticks. 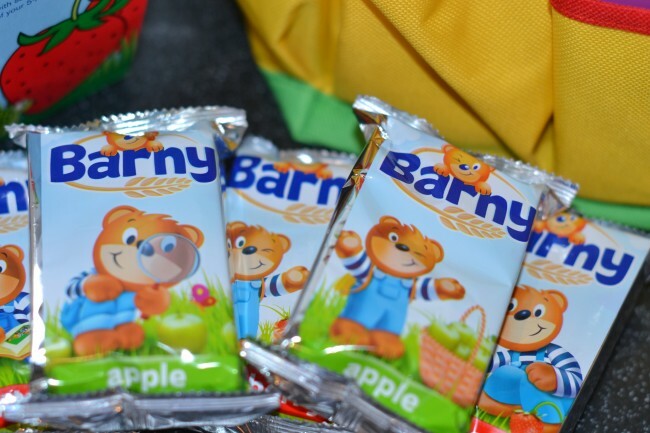 Barny has no artificial colours or preservatives and is available in supermarkets nationwide. We were sent some Barny snacks and the gardening kit above for the purpose of this post. Anya from Older Single Mum and The Healer recently posted..Clueless Comes Good – The Story of a Stroll in the Storms. Great adventure and lovely pics. Kate On Thin Ice recently posted..Can you think of a name for this cute kitten?